Home » World » Europe » Prince William to lose job? Prince William might lose his job if his job is outsourced to an American company. Prince William is a Flight Lieutenant and is currently assigned as a rescue pilot, Britain plans to outsource its search and rescue operations. Privatization and outsourcing both have stuck Prince William, even if a prince is not safe from these how can a common man survive? Prince William, heir to the British throne, could lose his job to privatization. British officials hailed the $2.4 billion deal with the Bristow Group as an example of how the private sector could better serve the public. The Royal Air Force and Royal Navy have handled search and rescue for 70 years, but rescue operations will be made four minutes faster with the American company’s fleet of 22 new helicopters, according to officials. The company will be fully operational at ten sites by 2017, meaning the RAF pilots will be redeployed elsewhere. 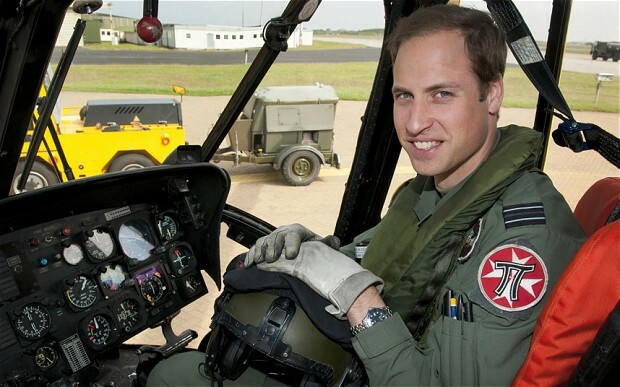 Prince William became a Sea King helicopter pilot in 2010 and is stationed at a base in north Wales. His current tour of duty was scheduled to end this year. Previous: Amanda Knox to be extradited?